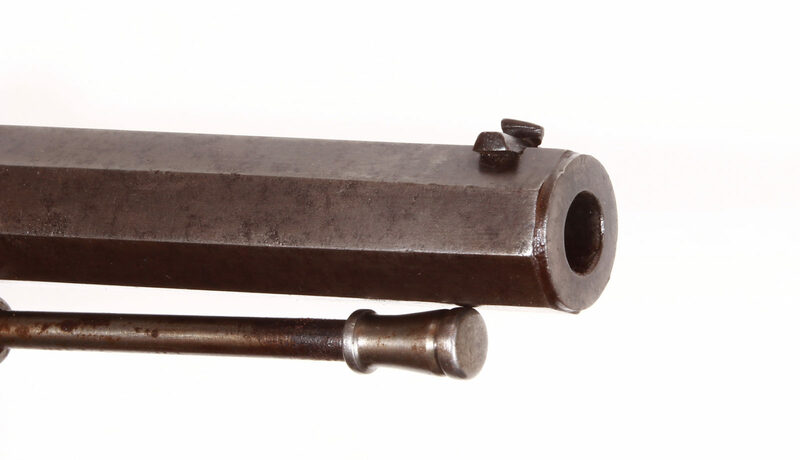 Conical steel barrel with dovetail grain, rear sight, grooves (field 8.5 mm, tension 8.9 mm). Adjustable trigger, steel fittings with slight decorative engraving, walnut stock with checkering in a rare basket pattern. Length 29 cm. Iron ramrod. Breech plug minimally cleaned rust dotts, otherwise very good condition and function.